Today I want to introduce some video game series, and their novelisations. This post is mostly aimed at people who are new to video games, or those who are interested in playing but don’t know where to start. I’m listing some well-known series, as well as their novelisations, in case you want to try the books out too! [icon name=”fa-question-circle”] What is it? The series follows a man named Desmond Miles, who using a machine called the Animus, delves into the memories of his ancestors to learn more about the rivalry between the Assassins and the Knights Templar. 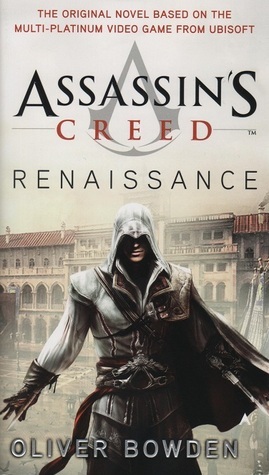 The games cover several time periods: the Third Crusade (Assassin’s Creed), the Renaissance (Assassin’s Creed II, Assassin’s Creed Brotherhood and Assassin’s Creed Revelations), the Colonial era (Assassin’s Creed III, Assassin’s Creed Liberation and Assassin’s Creed IV: Black Flag), as well as the French Revolution (the upcoming Assassin’s Creed Unity). Playing as his ancestors (the most famous of which is probably Ezio Auditore), you must uncover the secrets to becoming a master assassin, as well as the Templars’ plans. [icon name=”fa-thumbs-up”] Why should I play it? Because you get to be an assassin? Also, meeting various historical figures like Leonardo Da Vinci, the Borgias and the Sforzas (Caterina Sforza even quotes her infamous line) and Niccolo Machiavelli is amazing. The digital versions of locations like 15th century Venice and 16th century Rome are also gorgeous. And did I mention you get to be a super stealthy assassin? All of the following are by Oliver Bowden: Renaissance, Brotherhood, The Secret Crusade, Revelations, Forsaken and Black Flag. In regards to the first two games: because they’re scary and so, so immersive, you may be terrified but you’ll keep ploughing on! As for Bioshock Infinite, it is an absolutely BEAUTIFUL game with a mesmerising (and heartbreaking) story. 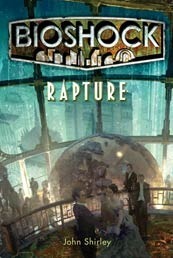 Rapture by John Shirley and Ken Levine, and Bioshock Infinite: Mind in Revolt by Joe Fielder and Ken Levine. Mass Effect is my favourite game series for so many reasons. But the main reason is that you are in control of every choice Shepard makes – and whatever you choose may have a permanent effect on the world, the galaxy, the universe – forever. Let that planet die and it’s gone, its people wiped out, no more resources, nothing. Betray that squad mate and that’s it – they’ve left you, never to return. Every choice you make has a consequence, whether it be bad or good. Not to mention that every single character is fantastically created, and you feel a genuine connection with each and every one. This video game makes me cry, and I’m not ashamed to admit it. 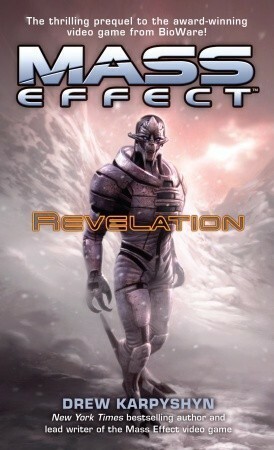 There are both novelisations and graphic novels for Mass Effect: Revelation, Ascension and Retribution by Drew Karpyshyn, Deception by William C. Dietz, Redemption, Evolution, Invasion, Homeworlds and Foundation by Mac Walters (graphic novels). I’ll be doing a couple of posts of this type, look out for Dragon Age, Deus Ex and Halo in the next post! Are you new to video games, or have you played any of these? Have you read any of the novelisations? Last month I read a total of fourteen books: The Coldest Girl in Coldtown by Holly Black, Midnight Crossroad (Midnight #1) by Charlaine Harris, Fantastic Four: Books of Doom by Ed Brubaker, Ms Marvel: War of the Marvels (Ms Marvel #8) by Brian Reed, Insignia (Insignia #1) by S.J. Kincaid, The Amazing Spider-Man: Book of Ezekiel (Amazing Spider-Man #7) by J. Michael Straczynski, Guardians of the Galaxy: Cosmic Avengers (Guardians of the Galaxy #1) by Brian Michael Bendis, New X-Men: E is for Extinction (New X-Men #1) by Grant Morrison, Doctor Who: Keeping Up With The Joneses (Doctor Who Time Trips #3) by Nick Harkaway, Retribution Falls (Tales of the Ketty Jay #1) by Chris Wooding, Lexicon by Max Barry, The Violent Century by Lavie Tidhar, Sabriel by Garth Nix and Beautiful Creatures by Kami Garcia. I read four books towards the Avengers vs. X-Men Challenge – two books towards defeating Bullseye, May’s villain, so I didn’t quite manage to beat him. Next month’s villain has been revealed as Loki, so hopefully I’ll be able to take down the trickster god! Last month I raised my Goodreads goal to seventy-five books. I’m now at seventy-one books, so it looks like I’ll be raising it again soon! I love video games. I’ve always played them, ever since I was a kid. My dad has always worked in IT, so we always had a PC at home. From a young age I was playing Doring Kindersley games, Mia Mouse – and Tomb Raider, Return Fire, Thief or Age of Empires. It’s a hobby that has continued throughout the years. Some of my favourite games include the Mass Effect series, Tales of Symphonia, The Legend of Zelda: the Wind Waker, The Elder Scrolls IV: Skyrim, Borderlands and most recently, L.A. Noire. I am, or more aptly was, a big online gamer. I’ve been playing Lord of the Rings Online on and off for two years, and have played so many different MMOs in the past. 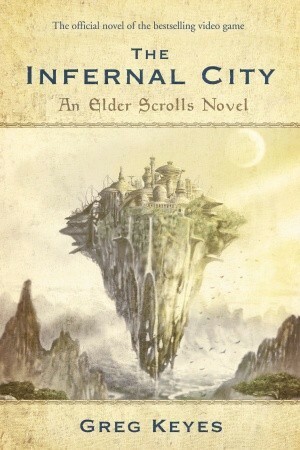 That was why I was so excited to read Ready Player One, a truly brilliant and completely geeky novel based in our future, where almost everyone escapes from their miserable real life to the online universe known as OASIS.So really, what could be better than combining two interests of mine, video games and reading? Well, in all honesty, it hasn’t been quite the successful venture I’d hoped for. As I wrote in my review of Mass Effect: Ascension, when the Mass Effect series finished I was pretty disappointed. If you’re a fan of the games you will understand, but if you’re not: the premise of the game series is that every choice you make has a consequence. You are essentially in charge of the path the game takes, your actions have a real effect. So when Bioware promised that there would be over sixteen different endings for Mass Effect 3, and your actions throughout the entire trilogy would affect it, fans were excited. But what we actually got was essentially three endings that were exactly the same, apart from being different colours. 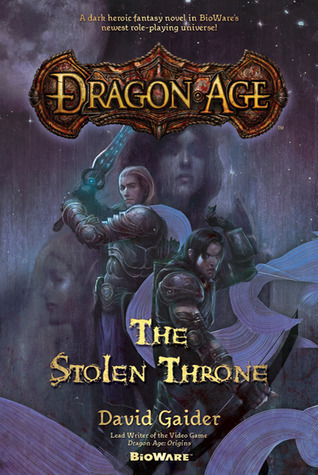 There was so much backlash that Bioware released a patch to improve the ending and clear up so many unanswered questions. Genuine reactions to the game ending. It really wasn’t enough. 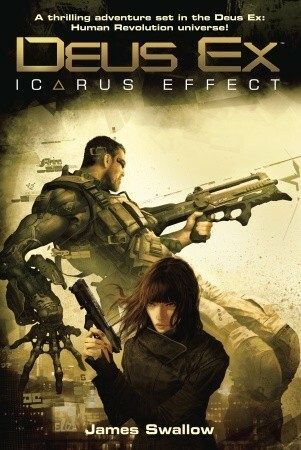 I was left with this need for more Mass Effect: so what better to turn to than the books? It would have been better for me to turn to fanfiction. I’ve read some brilliant Mass Effect fanfiction (Garrus and FemShep. I ship it. Hard.) – and I plan on covering the subject of fanfiction in a future ‘Thoughts’ post. The writing in the four Mass Effect novelisations that I devoured soon after the series ended was clunky, the plots were paper thin and so full of holes, the characters (even those fleshed out in the games themselves) flat. And honestly, video game books, just like the film adaptations, have a pretty bad reputation. I was surprised by the average rating of a lot of the novels on Goodreads. But despite all this, despite knowing that the quality won’t be great, that the authors are most likely in it for the money and link to an established series more than a love of the series itself, I will probably read more of these. I know that I’ll read any Mass Effect book I can get my hands on – and I’m keeping my eye out for Assassin’s Creed and Skyrim adaptations too (though I’m interested to see how a Skyrim book would work, since the main character is completely your own). It’s probably for the same reason that I’ve stuck with a series like the Sookie Stackhouse novels, even when the quality has gone downhill – I have some great memories and feelings associated with the series, and through reading the books I’m hoping to get them back. Mass Effect is truly one of those games where you get really attached to certain characters – especially as you can be responsible for their deaths if you’re not careful. However, I’m sure there are plenty of gamers out there who aren’t readers. 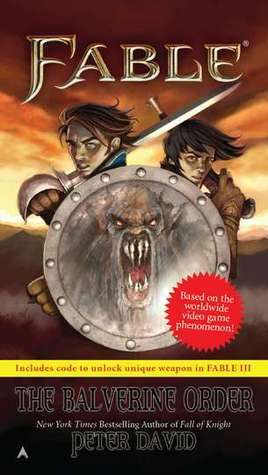 Seeing a novelisation of their favourite game series might encourage them to pick up the book – and maybe more books after that. If a book gets someone into reading, then who cares what that book is? It doesn’t matter what they’re reading, whether it’s good or not (although that is completely a matter of opinion), what matters is that they are reading. The reverse may be true also: although you’re less likely to pick the books up if you haven’t played the relevant game, as many assume a basic knowledge of the game’s plotlines; a video game novelisation may introduce someone to the game series who would not have played it otherwise. And now I turn to you, my dear readers: do you read video game novelisations? If so, what have you thought of the ones you have read? 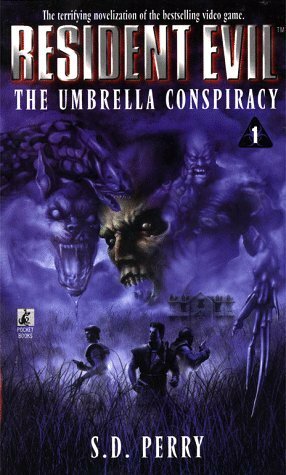 Are there any video games you’d love to read a novelisation of? Please leave your thoughts and comments below, I’d love to hear them! Atlas and P-Body hugs for anyone who comments!